Virginia has some giant bucks for those who know where to look for them. Most of the land in these three counties is private land with the exception of Rapidan WMA in Madison County and a small portion of Phelps WMA in Culpeper County near Kelly’s Ford on the Rappahannock. “The private lands in these three counties are a fantastic mix of open, agriculture and forested lands with good soils,” according to Mike Dye, wildlife biologist with VDGIF. The agriculture is a mix of small grains and hay, while the forests are mostly hardwoods or hardwood mixes and then there are the open areas too. Dye commented that the mix includes a healthy dose of timber activity which creates diverse habitat and new cover for deer and other animals to use. Deer densities are not extremely high and because so much land is privately owned and managed, bucks can grow big here. Unlike western states, Virginia does not have numerous outfitters. There are a few to include Locust Dale Hunts (Locust Hill Farm) which operates in this trio of counties. I spoke with John Paul Visosky, owner/manager of Locust Dale Hunts, about the 4,600 acres of prime whitetail property. Visosky made several points about why the property located in both Culpeper and Madison Counties is such a great area. Locust Dale Hunts has farm fields and food plots as well as four miles of frontage on the Robinson River, plus the terrain and soils are optimal for growing good bucks. Due to repeat business and limiting hunting pressure, newcomers will find themselves on a waiting list. Hunts cost $2,400 for 5 ½ days of hunting. Interestingly enough, most of his clients prefer to use a bow even through December although Visosky admits that much of their hunting is completed by Thanksgiving since most hunters want to be in the woods during the rut. There are lodges complete with a kitchen for hunters that are lucky enough to land a booking. 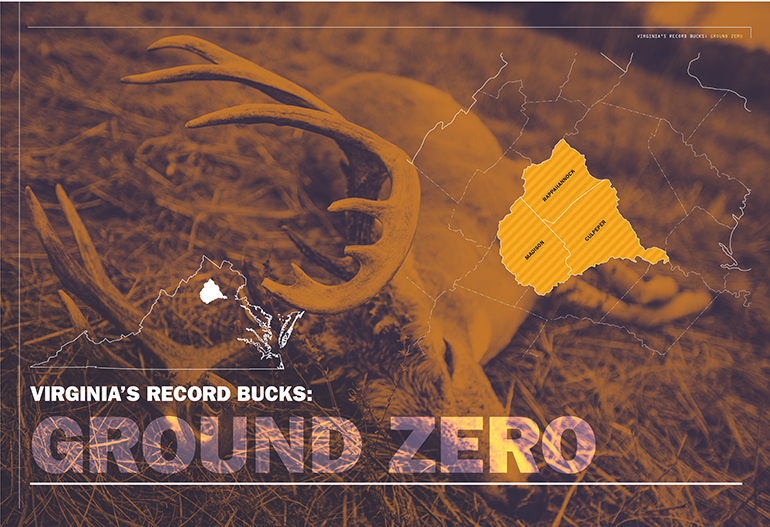 Over the past 10 years 3 bucks have been taken that scored over 200 points. Another option for hunters is Rose Hill Game Preserve in Culpeper. Although their main business is upland bird hunting, they have some big buck opportunities with deer that sometimes score 140 inches or better. Their hunting is done near agriculture fields in thick, diverse habitat. Stands and box blinds are available, and hunts are $200 per day, per hunter with no extra fees. Lodging would be the responsibility of the hunter, but readily available in nearby Culpeper (rosehillgamepreserve.com). Last, Lakota Hunt Club also operates in Culpeper and they offer guided or unguided trophy buck hunting on their hunting leases. A hunt with Lakota is $1,500 for the harvest of a trophy buck. The general hunt fee whether you take a deer or not is $350. All bucks must be at least 6 points and well outside the ears. Last year they had 8 bucks 140 class or better taken (lakotahuntclub.com/home). Twenty years ago, much of the land in this region was owned and managed by timber companies. Due to the economy, many of the timber companies saw fit to sell the land and then approach private landowners to harvest timber. What hunters may want to do to find a spot to hunt is look for real estate land holding companies. While none of the companies I contacted would give permission to have their names published, they did say that they would, on a case by case basis, lease hunting rights. So, how do hunters find such properties? I used the online GIS system for each county to search for large tracts of property just as I would to find owners of the property adjoining any land I had permission to hunt. The online GIS system is a very valuable tool in that hunters can find the exact acreage of a property, see the boundaries, find the owners (look for realtors or LLCs, partnerships or simply a large block of land), and see the tax bill on the property. I like to look for property with limited access and away from developed areas. There are sometimes satellite views to get an idea what the property looks like. Be sure to see what year the satellite view was taken as things change. I would suggest asking the person you are dealing with about the particulars when you are speaking with them. It is possible the land gets sold or timbered and updates are not immediate to the GIS system. The online GIS map will also let hunters see water sources, marshes and elevation changes too. Put your boots on the ground before you sign a lease or exchange money. Look for land that has had some timber management within the last ten years, but more importantly, look for land that has a variety of habitat on it. Transitional habitat is crucial for food, bedding and escape cover. If you can only gain permission on a property that is one big forest with no open areas or agriculture, it is probably not worth your money to lease it. However, don’t overlook land that borders open areas or agriculture. Just don’t pay top dollar unless you are sure it is worth it. As stated, this region has very little public land and what it does have receives steady pressure given that Northern Virginia is nearby. Rapidan WMA has 10,326 acres spread over eight separate tracts in both Madison and Greene Counties. Four of these tracts adjoin Shenandoah National Park and share nearly 25 miles of boundary. Hunting is not permitted in the Shenandoah National Park and bucks live a long time there unless they venture off the park during the rut. Hunters that scout locations and have several backup locations picked out near the boundary of the park are in a good spot to possibly take a quality buck. Mike Dye of VDGIF pointed out that the WMA is mostly forested and there are fewer deer there, although prior to VDGIF owning it, there was some timbering done. The VDGIF website notes that elevations can be steep ranging from 1,400 to 3,840 feet. The timber is mostly mixed hardwoods with some chestnut oak trees on the southwestern slopes. The deep valleys and hills are mostly tulip poplar which are not great deer habitat. Hunters need to spend some time roaming the WMA to find the best places to set up. Water sources include the Rapidan, Conway and South Rivers. There is primitive camping available for hunters. Hunters should check the rules of the WMA on the kiosks. This WMA is remote, rugged and the roads can wash out due to thunderstorms. Strongly consider taking a map and compass in addition to your phone or GPS in case signal is lost. Let someone know where you plan to hunt. Remember, the further you get off the beaten path, the better your chances of seeing and possibly harvesting a big buck (visit dgif.virginia.gov/wma/rapidan/). The small area of C.F. Phelps WMA in Culpeper County and even the portion in Fauquier County is also an area of consideration for hunters. This popular WMA gets more pressure, particularly during gun season, so consider using your bow or crossbow and get out early. The land along the Rappahannock River is a good bet as the soil is fertile and cover can be thick. C.F. Phelps does have a sight in range. Be sure to check the hours. Currently the range is closed on Mondays (dgif.virginia.gov/wma/cf-phelps/). 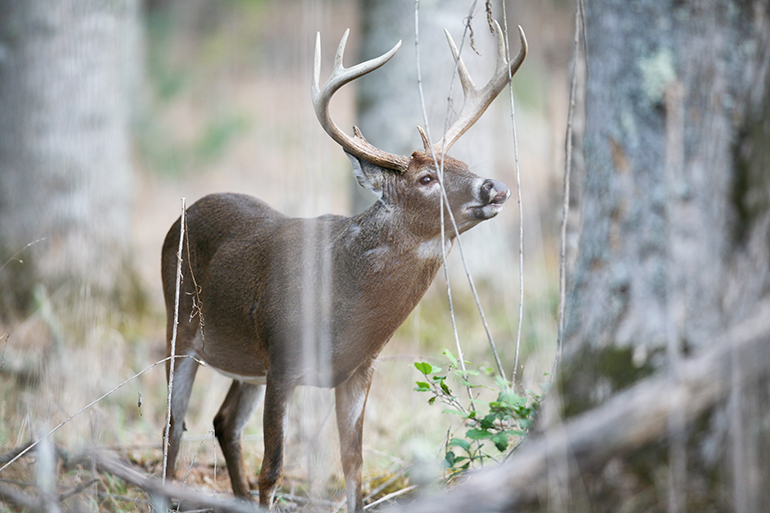 If a big buck or even a Virginia B&C bucks is in your dreams, try our tips for hunting right here in Virginia. Our three counties have the soils, habitat and genes for a VA wall hanger.